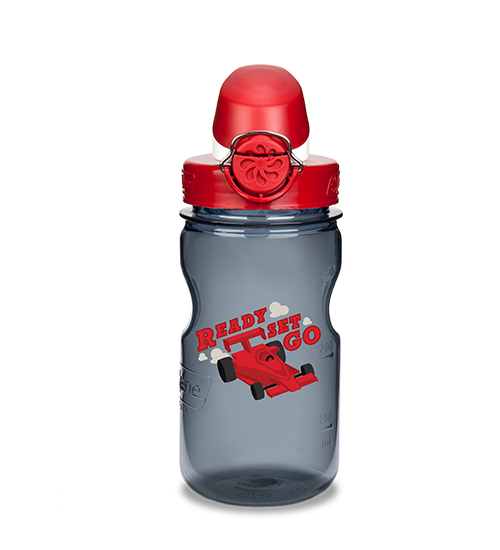 sold in retailers worldwide, including Walmart and Target. 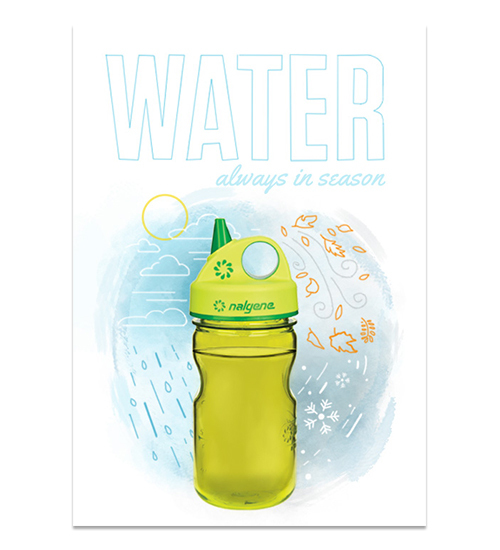 I had the great pleasure of illustrating for a variety of Nalgene bottles, including seasonal and children's bottles. 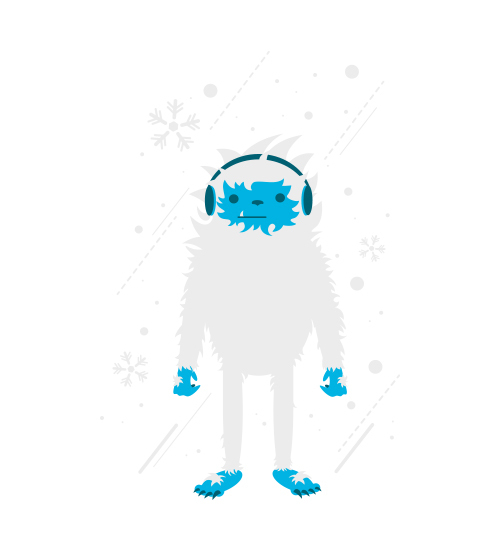 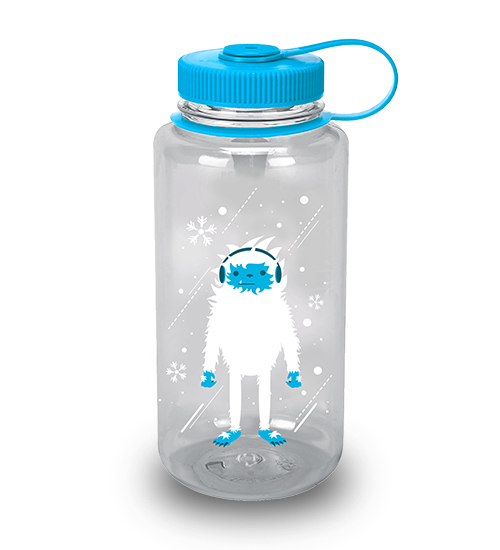 I created the yeti for my first bottle, a seasonal winter special. 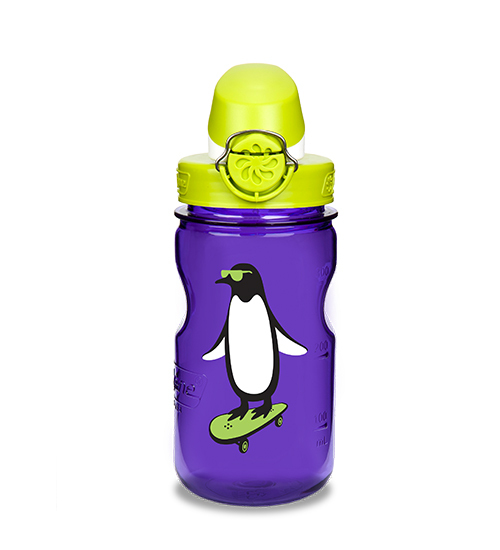 The product sold out twice and did much better than expected. 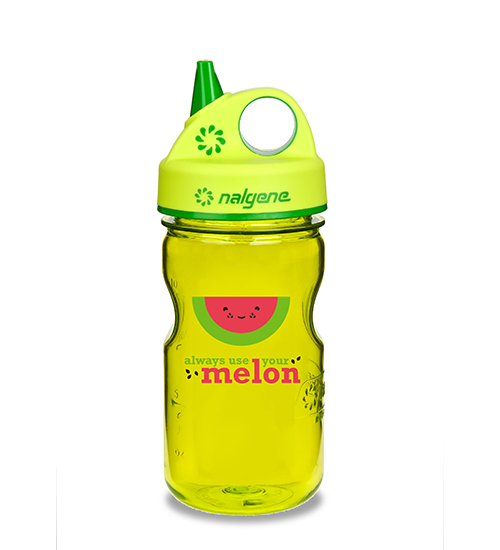 I've been asked to create a bottle each season since! 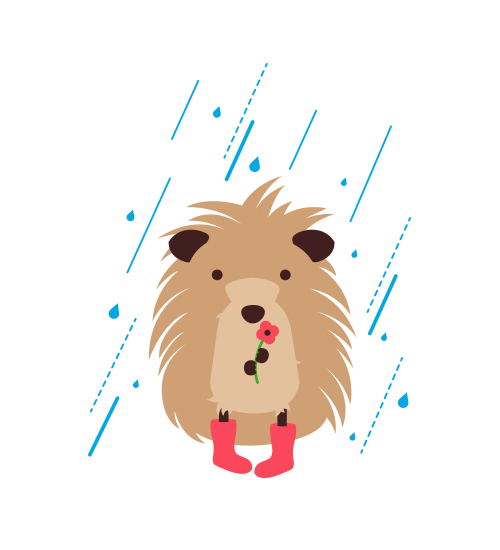 The hedgehog was next for spring/summer, and two more are in production now. 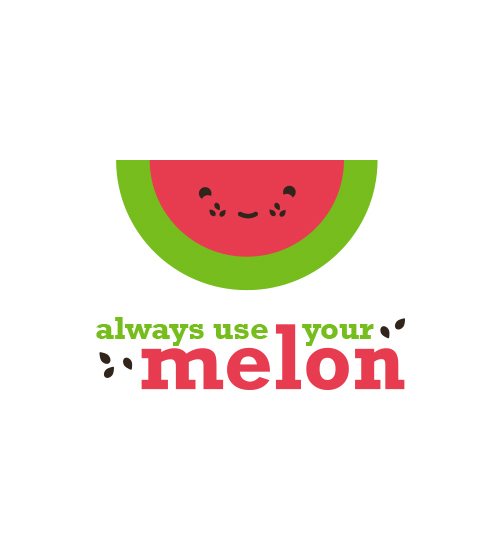 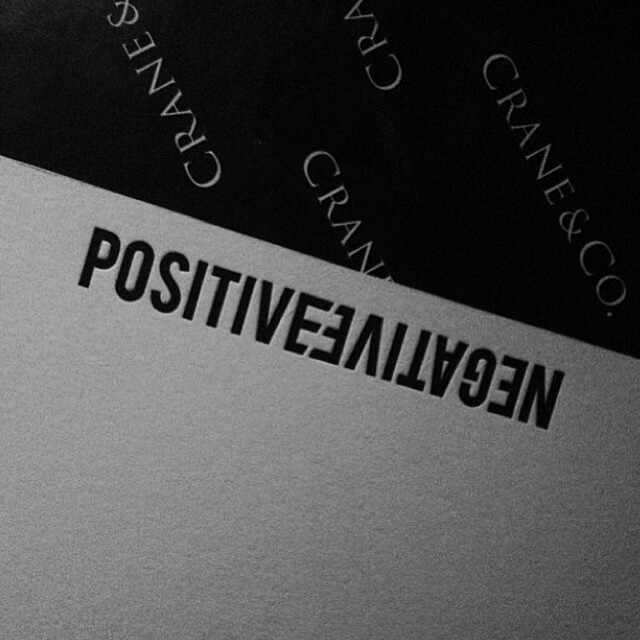 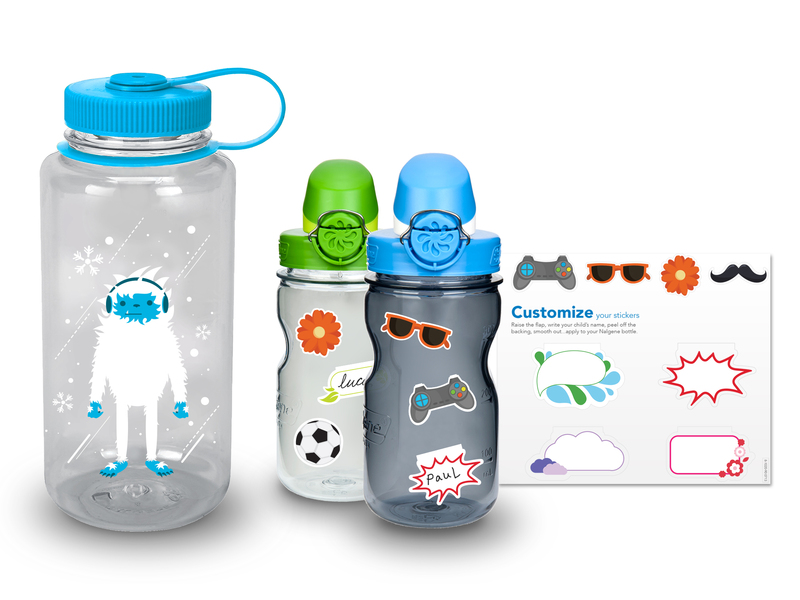 The kids bottles were designed around a motivational theme, and will soon be on sale. 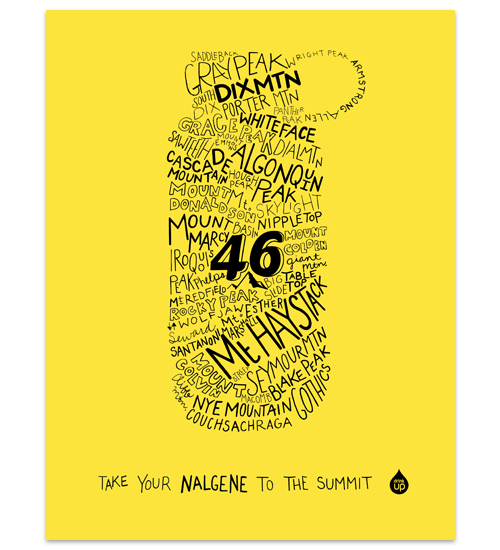 I illustrated and designed a series of Nalgene ads for USA TODAY, Adirondack Life Magazine, and trade shows. 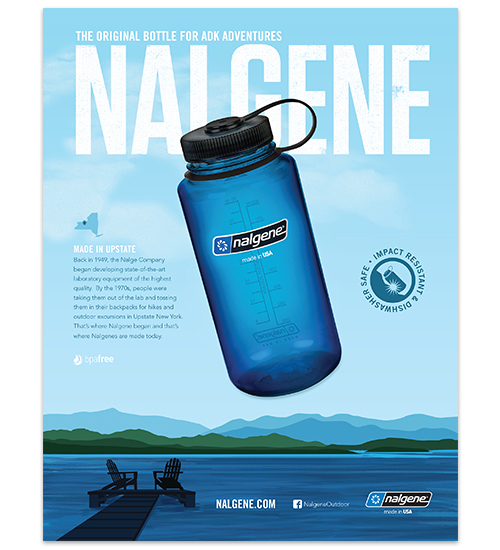 These ads were for promoting the Nalgene lifestyle, an active, fun, and adventure filled life. 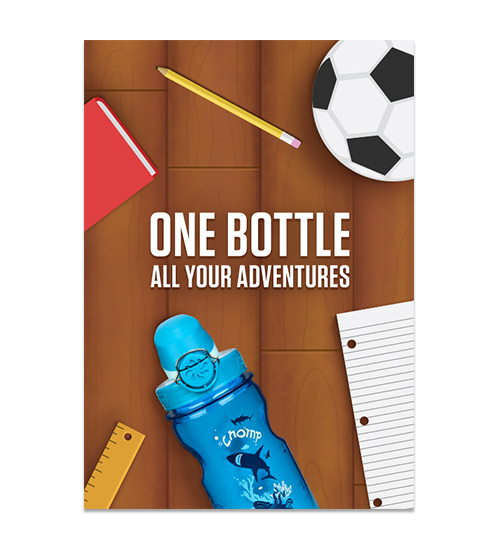 Many of them feature placing the bottle in an illustrated outdoor scene, and the latest incorporated some fun, rugged hand lettering. 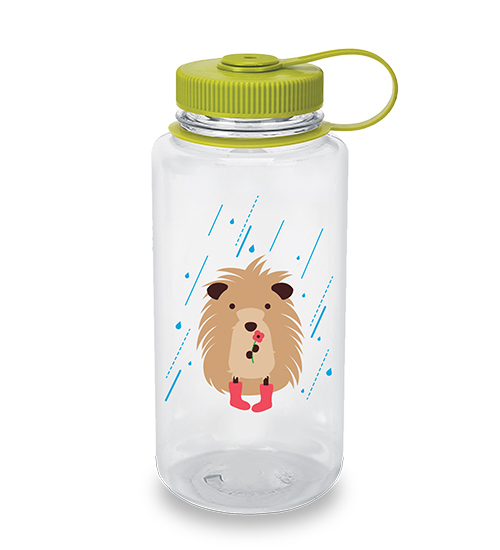 These have been printed in Adirondack Life Magazine, USA Today, and for tradeshows. 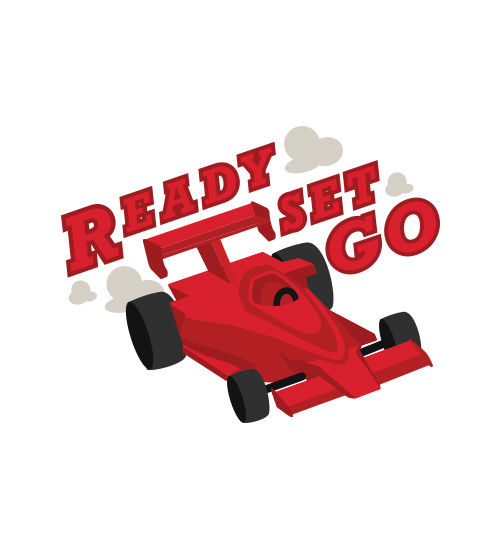 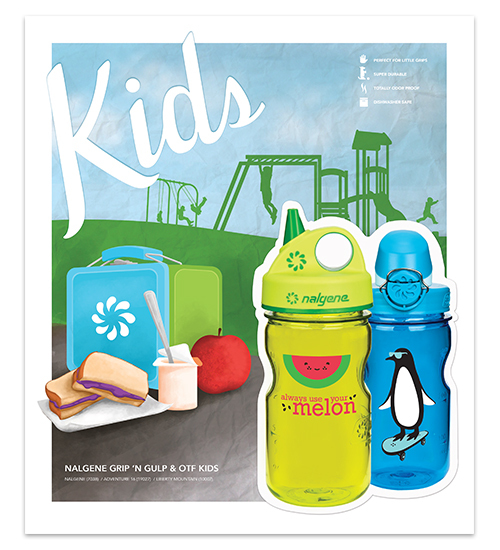 I illustrated series of customizable stickers that were sold with kids Nalgene bottles in stores. 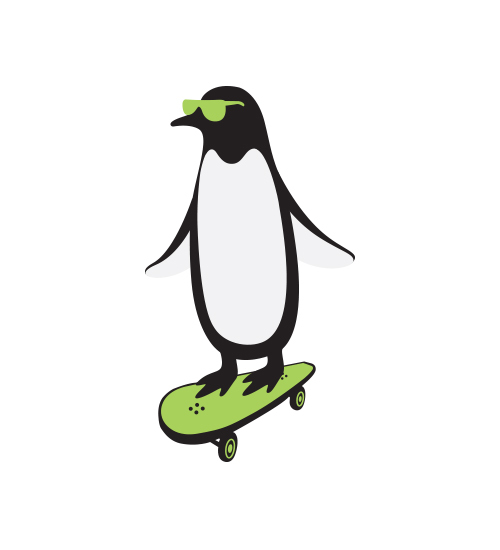 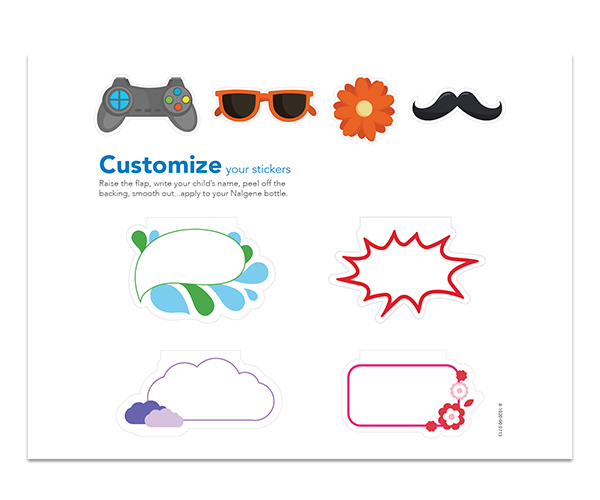 These stickers were meant to appeal to both boys and girls age 8-12. 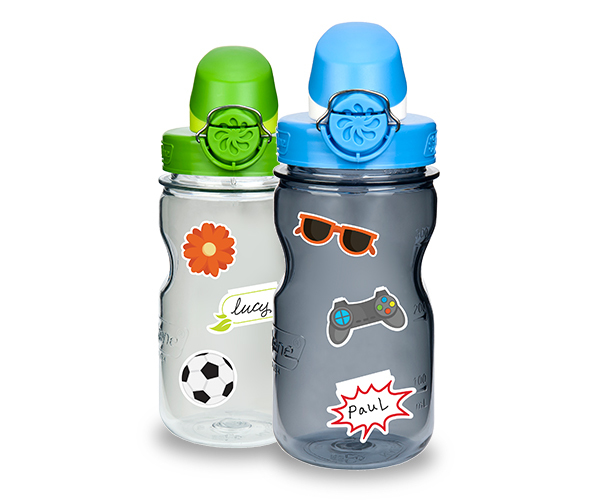 The blank stickers are customizable, dishwasher safe stickers that kids can write on. 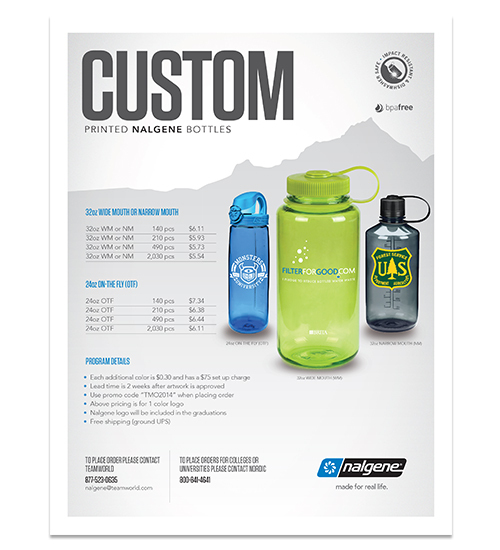 Sell Sheets for Nalgene to advertise products and services to customers. 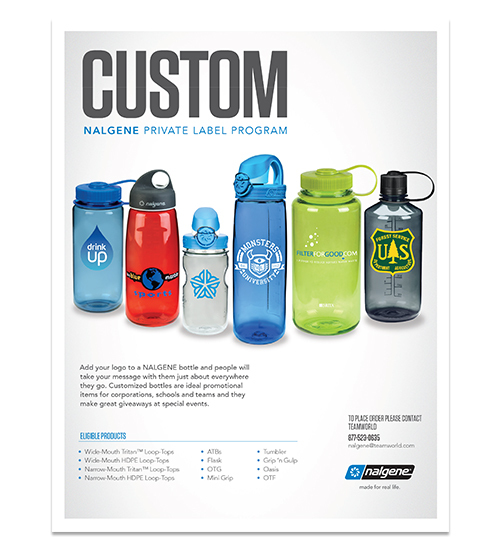 These particular sheets were made to promote customizable Nalgene bottles. 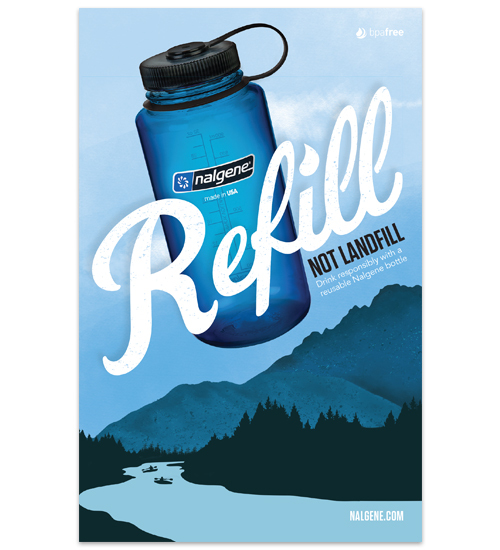 Small ads for back to school that will be used for promotion on Nalgene's Facebook, Instagram, Twitter, and partner blogs.